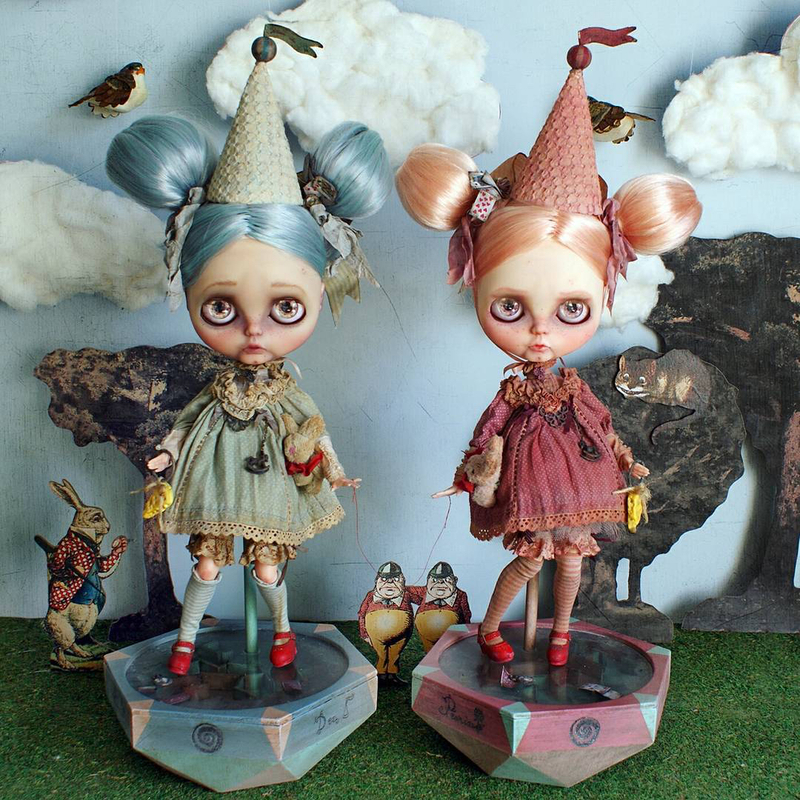 Rebeca Cano is a passionate creator of stories where Blythe dolls live. Her background as an archaeologist and archaeological restorer gave her the knowledge and will to recreate her dreams and nightmares in dolly form. 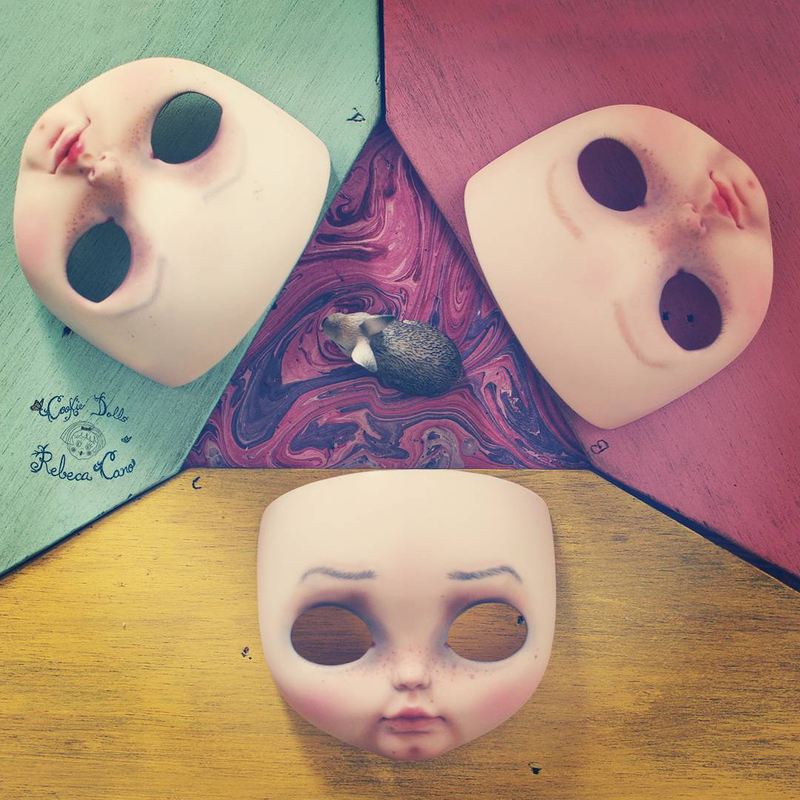 Each doll lives in an era, inside a story. My passion since childhood has always been to create stories and tales from my personal experiences, dreams, nightmares, memories. My art is born of these stories, which makes all my works have a connection with my being, with my soul. I was born in Madrid, where I lived during my childhood and studied until I graduated in History. I currently live in Toledo. I am a visual artist, writer, creative designer and mother of two wonderful children, Nicolás and Martín. My passion since childhood has always been to create stories and tales from my personal experiences, dreams, nightmares, memories. My art is born of these stories, which makes all my works have a connection with my being, with my soul. 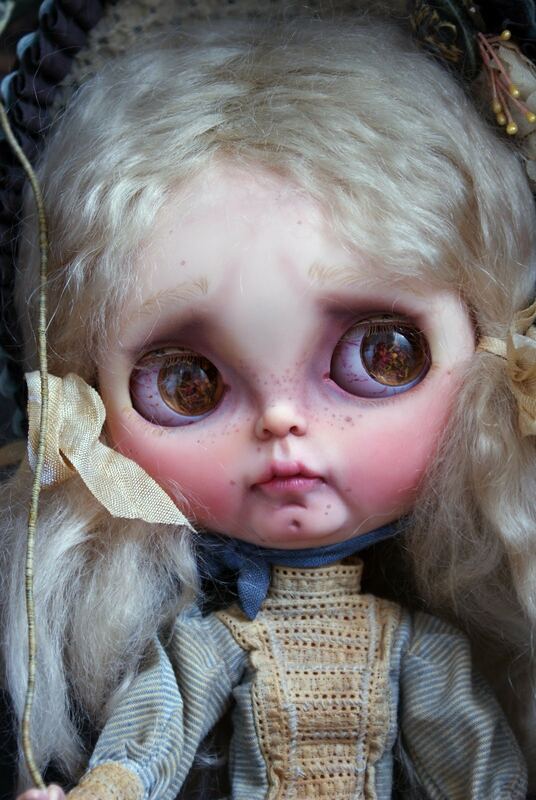 My dolls are the main characters of these stories, they are the physical materialization of a part of me. 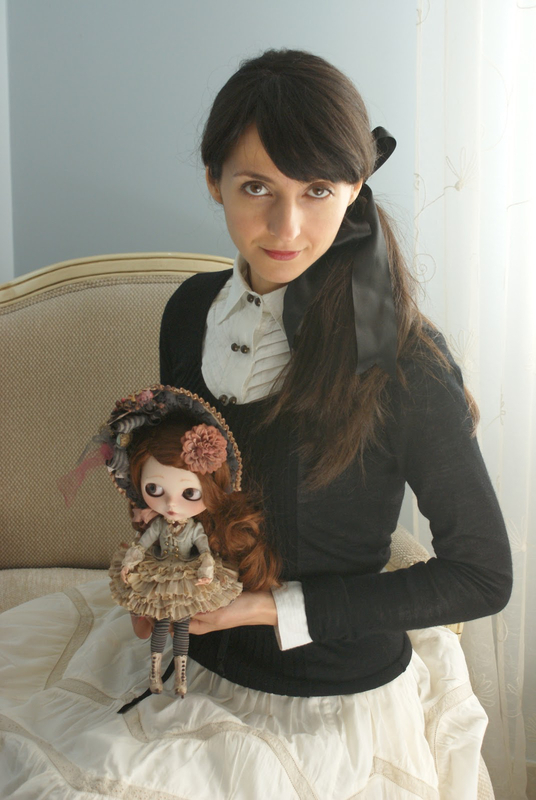 Rebeca Cano and one of her custom dolls. Very early, as a child, I began to feel an interest in Japanese culture, and over time that interest became a passion. The most important influence came to me through manga and anime, until a publication that marked me – Rozen Maiden – appeared. 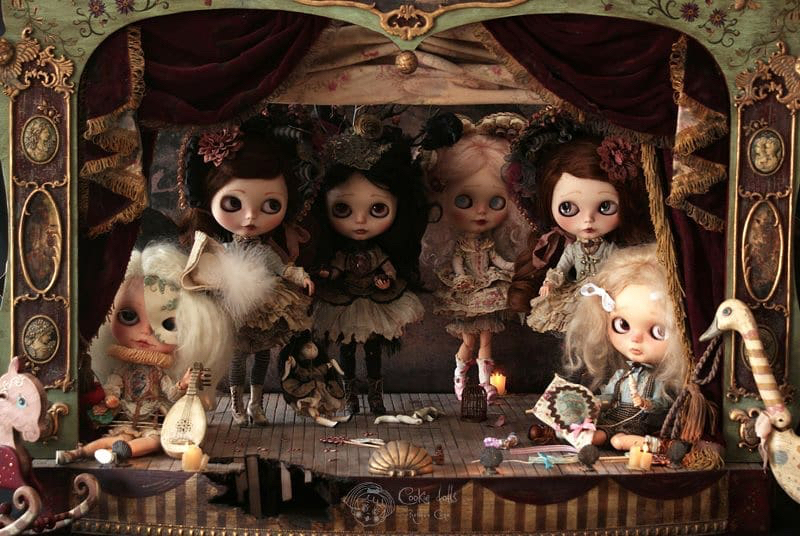 Thanks to that story of dolls I got to the Blythe dolls. From the beginning, I had very clear what style I wanted for my dolls. 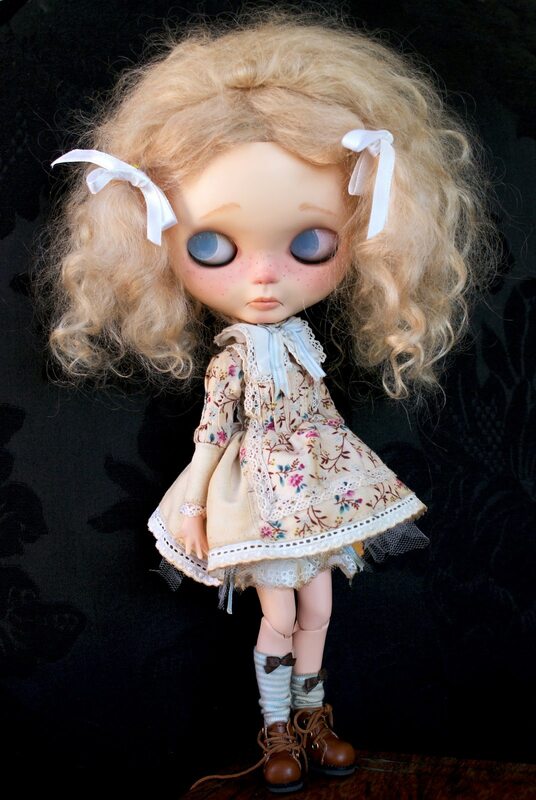 But when I discovered the Blythe doll everything was new to me, so I had to learn to carve, to do makeup, sew, etc. 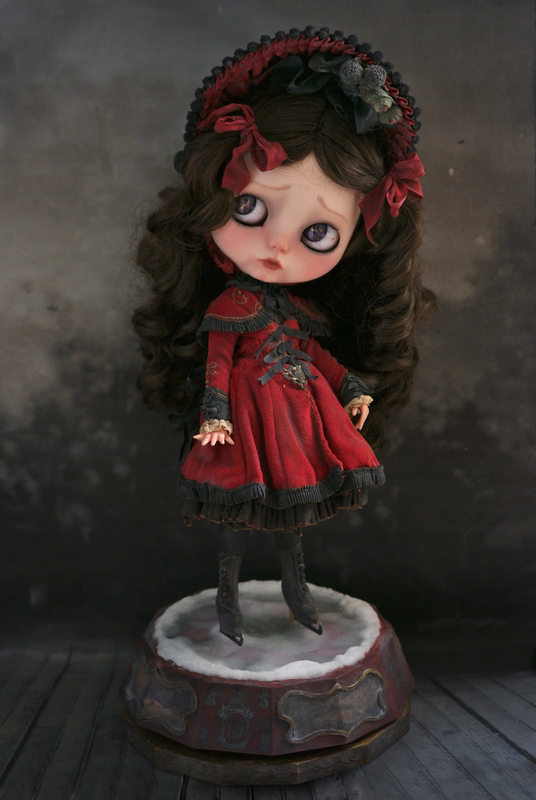 My first customization was in October 2008 and at the beginning of 2010, I had already achieved the level of detail I wanted for my dolls. However, the learning is continuous and my works are constantly evolving. Nicoletta. 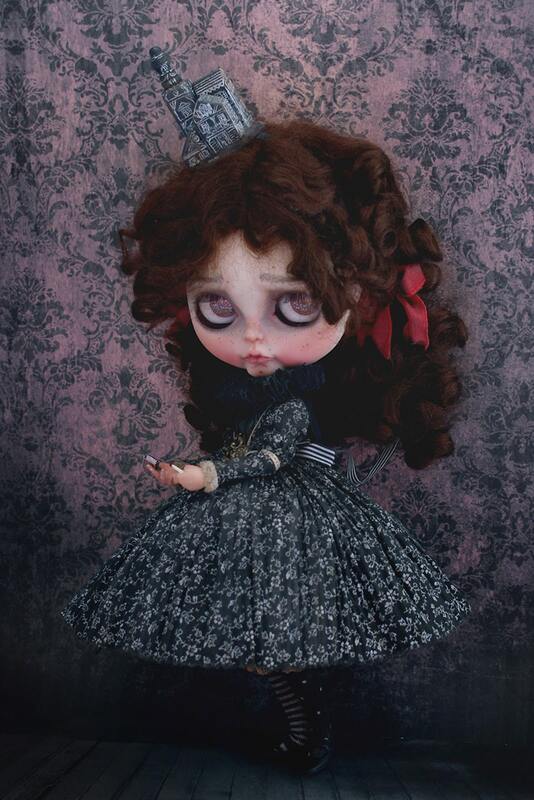 First custom Blythe doll by Rebeca Cano / Cookie Dolls, 2010. 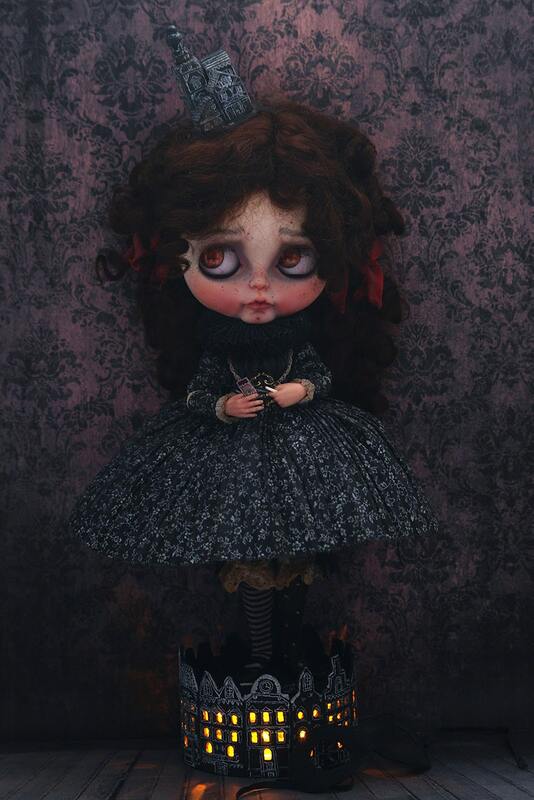 Rose Marie, Last custom Blythe doll by Rebeca Cano / Cookie Dolls, 2018. At first, it started as a hobby and I combined it with my work as an archaeologist and restorer. 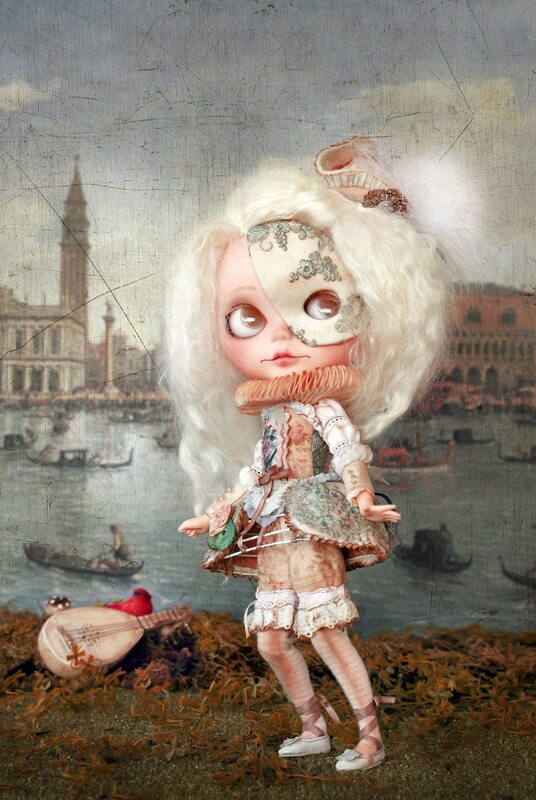 Currently, the customization of dolls is part of my professional activity. The whole creative process starts from the story or tale. I define the main ideas that make up the character and from there I start working on it, first with sketches and then with the search of the materials. Sometimes the idea is very clear and the character is very defined in its entirety at an early stage, other times I leave some elements undetermined because I need the doll to give me more information as I create it. All phases of the project are important to me: from the creation of the story, the definition of the character, the development of the work, the creation of outfit and accessories or set design. But the most rewarding part for me is when I give the plastic mold a personality, feelings, and soul of the character. Blythe faceplates / Work in progress. I usually work on only one doll but I can work on several dolls at the same time as long as they are characters from the same story. My work is very meticulous, it has many details and symbolisms so I concentrate on the character that I am creating at that moment. The creation process is quite long, depending on the complexity of the character, the work can last one or several months. I do not have a specific workplace dedicated to the work of my dolls, there are many and different processes and materials needed to create each piece, so I need several rooms of my home to carry it out. The characters of my stories are always located in an ancient era so their style can be Decimonócio [from the 19's century], Romantic, Baroque, etc. They are times of history that I am passionate about. I get the full characterization of the character with the carving and make-up, which, depending on the story or tale, I look for a more realistic or more fantastic approach. My favorite tool is the carving blade. 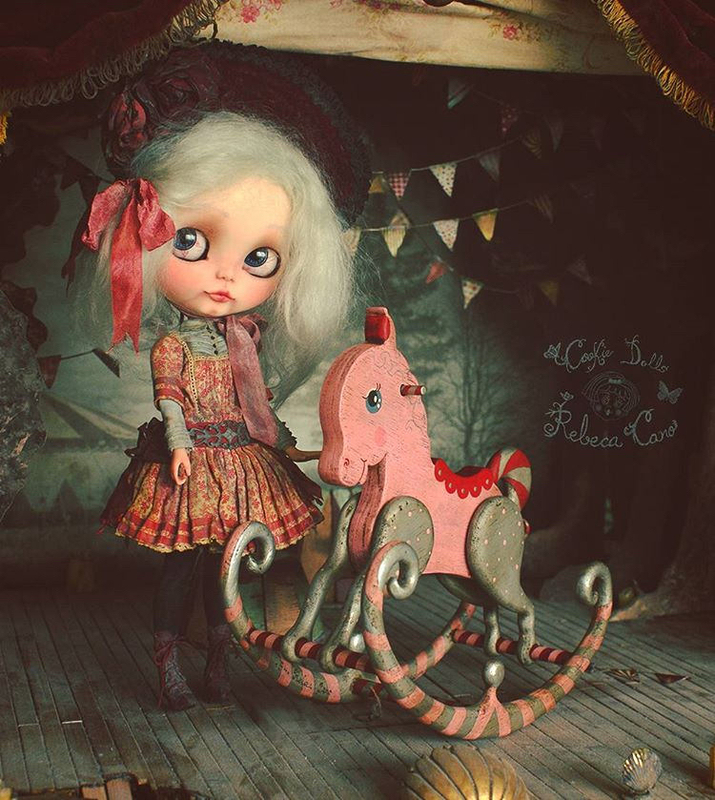 Gwendoline & the little horse. I do not have a price model. 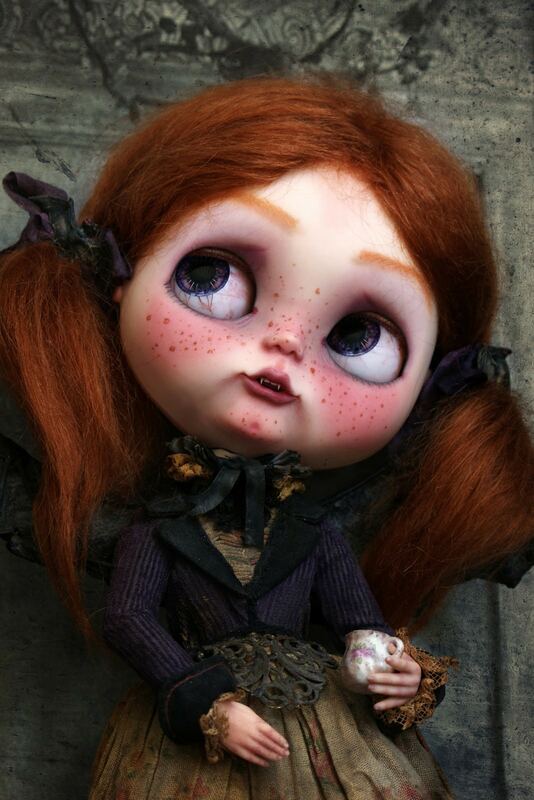 The price of my dolls varies depending on the complexity of the character: materials and hours of work used. I advise beginner customizers not to set limits on themselves and work hard looking for their own style and bringing new things. Petunia & Peonia inside the labyrinth. It's so interesting to see how each artist's background plays a role in their art. Rebeca Cano and her connection with History and Archaeology can be seen in her work, in the way she connects all together inside a story and inspired by an era. 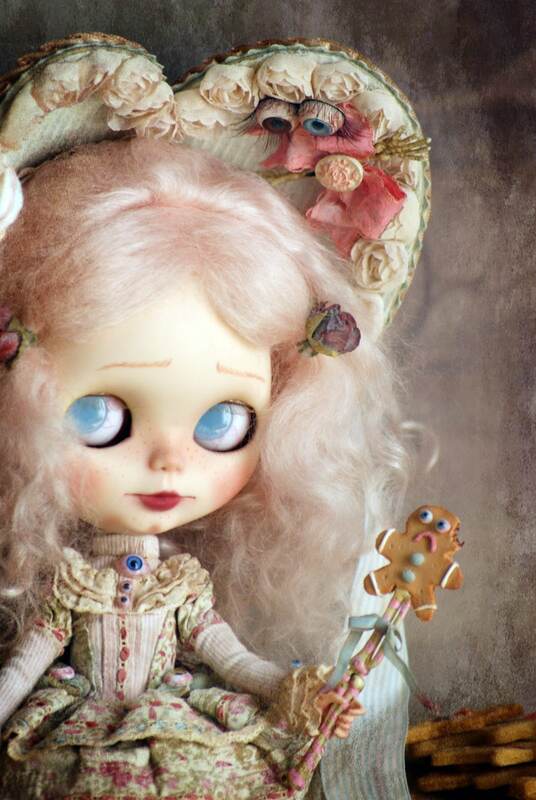 She translates herself through the doll and they become unique and an inspiration for those who enjoy this art. Follow Rebeca's work in her social media accounts by going to her profile page. Don't miss her next projects! How to Purchase: On Cookie Dolls website or Etsy shop.